The Profile Image and the Profile Background Image are meant to give your brand profile a more personal touch. To upload and set them, go to your linkr profile screen and click the mini-camera symbol to trigger the upload process. How will this be displayed to influencers? On linkr, influencers can either reactively apply to a campaign or proactively propose a cooperation. For the latter, the influencer will see your brand and the products you have published to linkr on the below screen. There, the Profile Image as well as the Profile Background Image are visible to influencers. 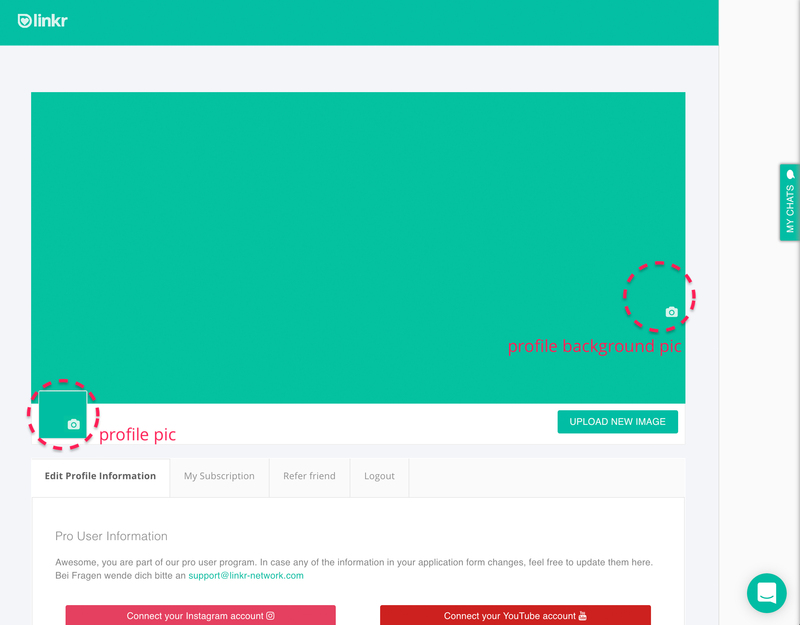 While the Profile Image and the Profile Background Image are set on profile level, you can set the Campaign Background Image on each campaign. Setting the Campaign Background Image is done on the last screen of the Campaign Wizard, right before publishing your campaign. 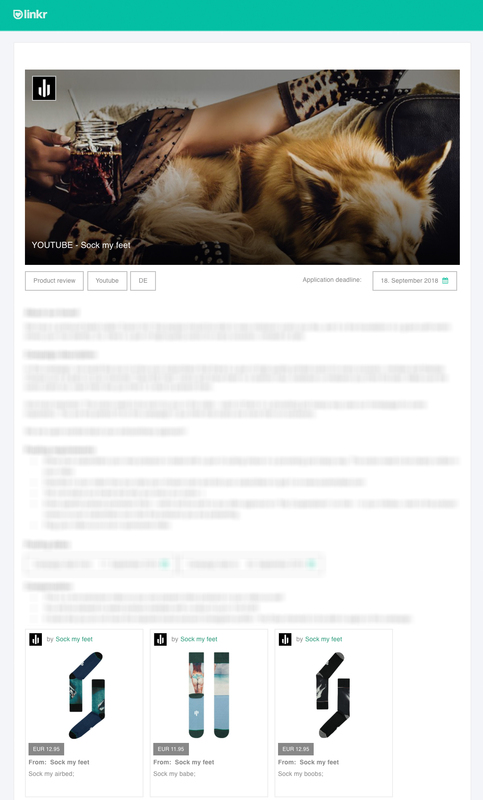 When influencers are browsing campaigns available to them on linkr, a thumbnail of your campaign is shown. This thumbnail uses your Campaign Background Image as well as your Profile Image. On there, your Campaign Background Image as well as your Profile Image are shown as well.